Jo-Anne Rohn-Cook, an emissary of light and love. Jo-Anne draws on a wealth of information from her 5 children and her 7 grandchildren. She often points out that much of her education was gained from "The University of the Universe." Jo-Anne is one of those people who have come full circle in her life. After motherhood, she entered the business world and achieved monumental success. 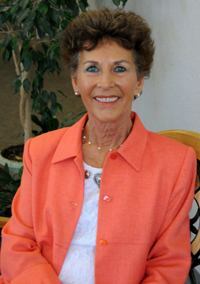 Her business, Holistic Health Center, in Fort Morgan, Colorado, reaches people all over the world through her seminars, video and DVD, books, and radio talk shows. She is one in a million who entered the business world never borrowing a dime, and has successfully blended her good business sense with compassion and genuine caring for others. A fireball of energy, dynamic and beautifully simple, best describe Jo-Anne in her "labor of love." Jo-Anne's knowledge in nutrition, woven with the wisdom of the everyday world, creates a tapestry of understanding life that inspires others. Jo-Anne’s blended understanding of body, mind and spirit complete a circle of knowledge and love unlike many programs offered. Jo-Anne has been a coach to thousands – "A Guide on the Side." Jo-Anne has overcome lupus and a number of complications due to other health problems. These health issues held her "prisoner" in her life. She has fully overcome these problems and has enjoyed remarkable health since that time. Jo-Anne holds a bachelors in Nutrition, and is certified in therapeutic touch, hypnosis, handwriting analysis, and emotional release therapy. Her unusual approach of blending diet with supplements creates a unique approach to healing.